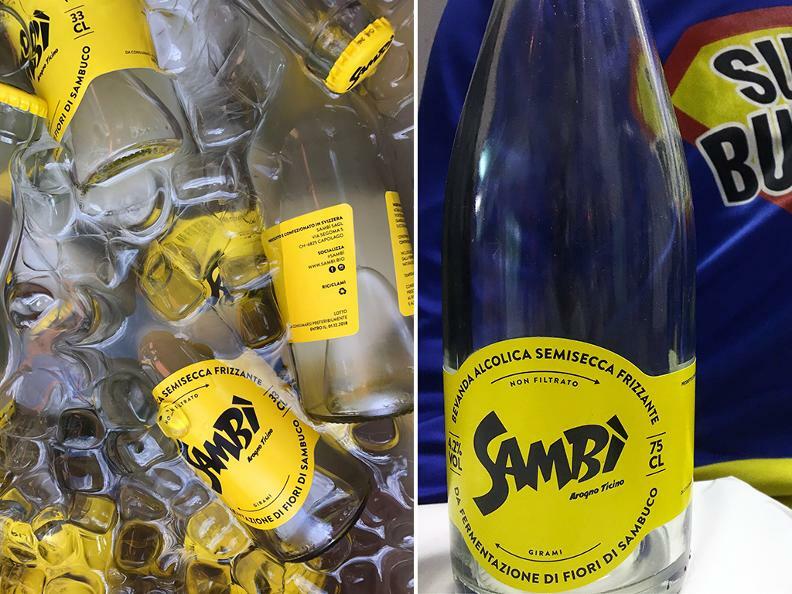 The Sambi SAGL has been founded in 2017 by Gabriele and Martino Bianchi. We are a small young company which aims at valorizing an old elderflowers-based recipe already used by our grandmothers. Our company takes care of the elaboration of a sparkly semi-dry biological alcoholic beverage derived from the fermentation of elderflowers. It unites under the same plug the technical skills of the artisan and the sparkling wine’s art. 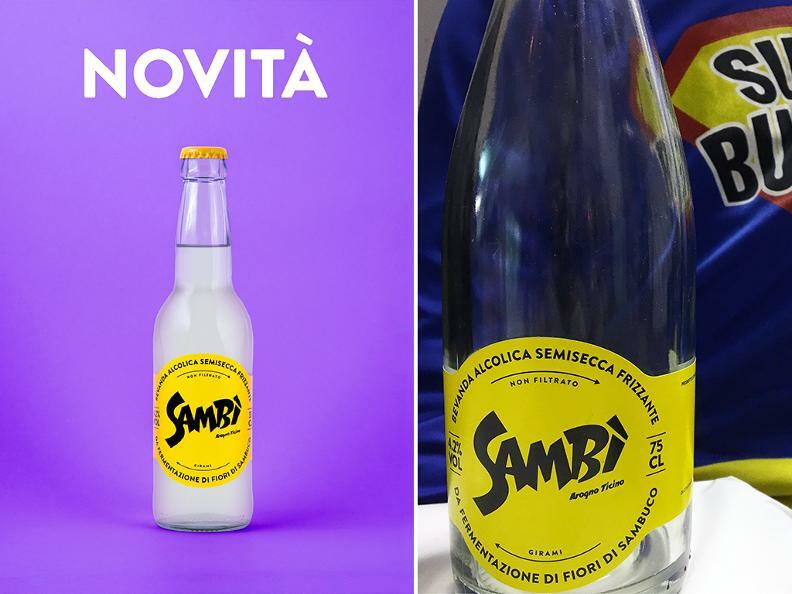 The idea was born in 2014, following a family tradition that goes back to when our mother used to prepare an elderflowers beverage which at home we called “sambuchino” (little elder). This fermented beverage was appreciated by everyone and each year we used to wait the moment of the blossoming so that we could taste the famous spring-summer drink again. One evening our father proposed to create a real product, accessible to everyone, and that is when our adventure started. 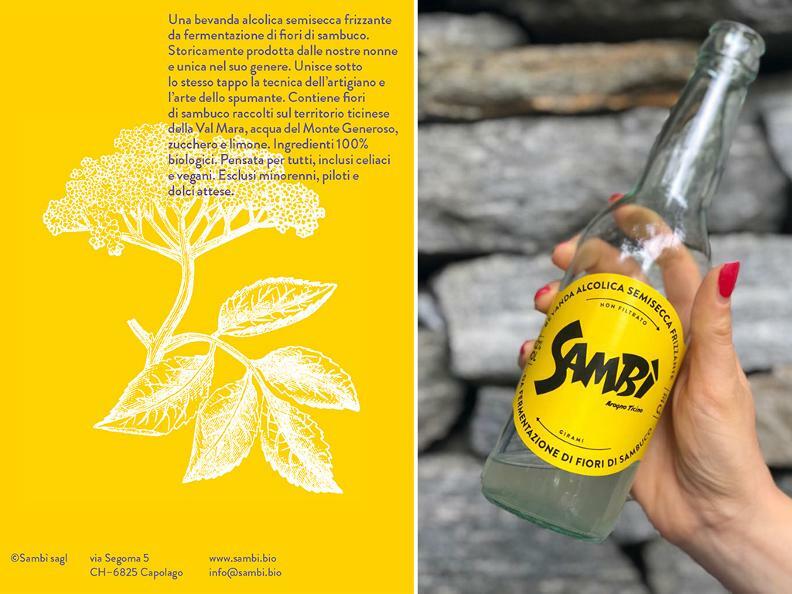 Our Sambì contains elderflowers picked on the Ticino territory of Val Mara, water from Mount Generoso, sugar and lemon. The ingredients are 100% biological. It is a drink meant for everyone, as it is refreshing, drinkable, biological, and vegan and celiac-friendly due to the absence of gluten in it. However, it is not suitable for minors and pregnant women as it is slightly alcoholic (4,2 % alcohol).